Shungite is black-colored stone that is often referred to as the “Miracle Stone” or even the “Stone of Life”. The stone is pretty lightweight, despite its very hard nature. The stone is believed to have numerous magical properties, and is widely used by crystal therapists, astrologers and even in Feng Shui. Just like Diamonds or graphite, more than 98 percent of the total composition of the stone is carbon. This high carbon content is what gives the stone its distinctive black color. In order to be able to answer the question of what is shungite, it is first important to understand the origin of the stone. The stone was first discovered in Russia, in a small village by the name of Shunga in the mid-19th century. Evidently, the name of the stone was also derived from the location of discovery, with the name being coined in 1879. The stone even has a long history in Russia. An erstwhile ruler of Russia, Czar Peter, was rumored to visit the Karelia region very frequently in order to drink water that was infused with minerals of shungite. The village of Shunga is also located in the Karelia region, and the Czar believed that shungite infused water would give him numerous magical properties. Although the stone is believed to have originated over two billion years ago, it was originally found and mined only in different parts of Russia near volcanic eruption sites as well as a few old coal mines in the country. However, there have been plenty of reports of the stone being found in other countries as well, namely Austria, Central Africa, India, Democratic Republic of Congo and even Kazakhstan. The stone is mostly found in volcanic sites and coal mines, and the high temperatures and excessive carbon content of such sites are believed to be the primary factors that add to the purity of the stone. The high carbon content of the stone gives it a lustrous and shiny glow with some samples of high quality even reflecting light with a silver-colored tinge. Despite having similar chemical composition like graphite and diamonds, the stone is harder than the former and softer than the latter. Even when compared to most other stones, shungite is relatively soft. In its purest form, the stone comprises of fullerenes in very small quantities. Fullerenes are small and hollow structures of carbon, and contribute largely to the metaphysical lore of the stone. According to hypothesis of several scientists, the formation of the stone was a result of a number of biological processes happening simultaneously to break down the microscopic organisms found in ancient oceans. This has been attributed to the high carbon content of the stone. There are plenty of other benefits and uses to be obtained from the use of this mystical stone. 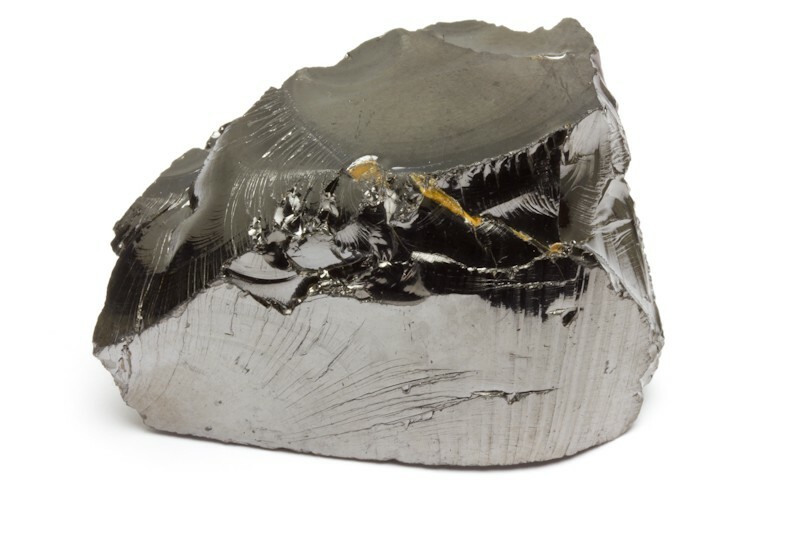 Although there are plenty of lore and myths about the uses and benefits of Shungite, there is plenty of evidence to prove its positive influence in the promotion of physical, emotional, mental and spiritual balance and peace. According to the recorded history of Russia, Czar Peter frequently traveled to the Karelia region in order to visit the village of Shunga. Here, he drank water that was infused with shungite in order to benefit his body, mind and soul from the healing properties of the stone. It is believed to have given him plenty of healing properties. The stone is used even today in a number of potions and elixirs for the same reasons. There is plenty of scientific evidence that a few specific forms of carbon offer a number of beneficial effects to the human body. Activated charcoal is a prime example of such a form of carbon. This stone as well as minerals exhibit similar beneficial properties that have found widespread use in the health industry as well as the cosmetic industry. A lot of health and beauty products today use these health properties of the stone to improve their effects on users. The stone is also known to remove negative feelings, thoughts and energies from your life. It is also believed that the stone helps to obtain protection from bad luck. On the physical front, the healing properties of the stone are particularly effective in the treatment or insomnia, anxiety and even acne or other such inflammation in the body. This, however, does not make the stone the ideal treatment for such conditions. It can definitely help to treat such conditions to a certain extent, but antibiotics and other such medications do tend to offer better results. 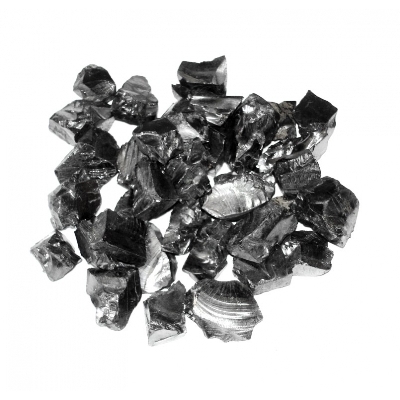 Why should Shungite be used? The stone exhibits a number of metaphysical properties that can be very useful and beneficial for physical healing as well as spiritual and mental protection. In almost every form of western magic, black is considered to be the color of protection from the spells of darkness. It is believed that the color helps to protect the darkness in any evil spell in order to prevent bad luck from laying its grasp on a person. The dark and pitch-black color of the stone renders it to be the perfect object to obtain protection from the dark nature of evil spells and bad luck. The stone also contains certain properties that enable it to conduct electricity. These properties help the stone to act as an amplifier when used in practicing meditation or even magic. In other words, if you are struggling to focus and channel your mental strength and energy towards any specific objective, the use of this stone can help to make things easier for you. The stone will act as conductor for all your positive energy and shield you from the negative energies surrounding you. This will then help you drive on towards a positive outcome of your desire. It will also help you to focus and channel all your positive energy towards your desired outcome so that you do not waster any of it unnecessarily. So, if you are wondering what is shungite mineral used for and why, it is used to ensure that you are able to channel all your positive energy towards positive creativity. After all, the stone is believed to have numerous important properties that can have a calming and steadying effect on you regardless of what you use it for. It can prove to be very beneficial in all walks of life. The best way to use the stone in order to obtain the advantages and benefits of it is to wear it every day on your person. There is no need to emphasize much on how you wear the stone as long as you have it very close to you at all times. You can wear the stone as a pendant or as a bracelet. Other common ways of using the stone include using them in earrings, rings or even brooches. However, you must keep in mind the stone is fairly soft, brittle and fragile, and even the softest of knocks can cause it to crack or break. The stone has the ability to protect you from the surrounding negative energy. That, however, would not be possible if you are nowhere near the stone itself. The same also applies to environments as well. For instance, if you experience too much negative energy in your house or your office, you can place one such stone in a specific spot. It is preferred that you place the stone in the area where you most encounter the negative energy. This will enable the stone to work its magic best. In case you wish to use the stone in order to obtain the physical benefits, you can simple drop a tiny, but thoroughly clean piece of the stone into your water and leave it for a while. After some time, you need to drink the water. You can also hot water for the purpose as the heat is known to amplify the beneficial properties and energy of the stone. Drinking water infused with the stone will also help you maintain a calm ambience and state of mind at all times. The important thing to remember here is that you should ensure that the stone is near you at all times. Shungite is a stone that promote positive energy and balance. Hence, it should be used with other stones that encourage positive energy and harmony. This will not only help you to create a positive environment around you, but also avoid negative energy. After all, what is shungite stone good for? It is to offer protection from any form of negative energy or thoughts. It will also help you to avoid being the recipient of the negativity emanating from the people surrounding you. Moreover, there is another important aspect that you must consider. The positive effects of the stone can be felt in the long run. Initially, however, you will experience plenty of confrontational attitudes along with oodles of rage. Stones that promote harmony and calm can be of great help during the initial phases as it will prevent you from blowing your fuse all the time. It will also help you to overcome the rough patches that you are likely to encounter in the initial phase. Such stones include Opals, Rubies and Pearls. While Opals can help you to maintain a clear head and focus on your ambition and goal, Rubies can help you maintain calm actions. With increased assuredness, you will be able to avoid taking rash and sudden actions of hotheadedness. Rubies also help people to attain high positions in life. Not only that a person wearing ruby is likely to get king or governments's favor. Pearls, on the other hand, are ideal for the promotion of complete harmony as they affect not only you, but also the people around. Pearls have a great impact in enhancing the empathy levels of the wearer as well as the surrounding people. There are numerous other stones that can be paired with Shungite to promote positive empowerment and harmony. This has propelled it to become one of the most beneficial and useful stones to store in your collection. The stone can be very useful in almost every situation in your everyday life. There is plenty of scientific evidence that shows the useful benefits of the stone, making it a must-have for your collection. If you are still wondering about what is shungite good for, all you need to do is use the stone for a few days, and you will start to notice the calming effect of the stone in every aspect of your life. Its ability to absorb the negative energy from the surrounding area is one of the top benefits of the stone as it allows you to develop a great deal of positivity in your personal as well as professional life. Besides, the stone is also very powerful and helps in heightening the powers and abilities of other stones that used in combination with it. It will not only help you to improve your physical, mental, emotional, spiritual and metaphysical health, but also bring you plenty of good luck. With plenty of positive energy in your life, you will be able to channel this energy and achieve your goals with substantial ease.